February 3, 2019 reefbitesLeave a Comment on Can Marine Protected Areas Save Our Reefs? Can Marine Protected Areas Save Our Reefs? In the midst of a seemingly ever-declining state of coral reefs across the globe comes a glimmer of hope: marine protected areas (MPAs). Designed with the intent to protect the living and non-living environments in a given area, these legal boundaries regulate the management, conservation, and human activity (amongst other measures) within their borders. When it comes to coral reefs, conservation is a key force needed to protect the prosperity of these fragile and diverse ecosystems. While MPAs seem to fit the bill, the question still remains: do they really make a difference? Though MPAs have been around for decades, in recent years they have become an increasingly important management tool implemented by scientists and governments hoping to preserve the natural state of marine ecosystems around the globe. For coral reefs, this can have a variety of implications; ranging from restricted fishing rules to limited human access, MPAs encompassing coral reefs usually aim to diminish the amount of human impact on the system. The characteristics of an MPA impact its effectiveness, regardless of its location. For example, older, larger, well enforced MPAs that do not allow any fishing (referred to as ‘no take’) tend to elicit the most successful results for their ecosystems (Edgar et al., 2014). Recent studies have attempted to understand the effectiveness of MPAs that protect coral reefs. A 2018 study by Strain et. al assessed the abundance and diversity of fish, environmental conditions, and percentage of coral cover (Strain et. al 2018). These measures were collected to provide insight into the overall health of the ecosystem. As a result, researchers compared study sites from 30 different MPAs to determine the influence on their respective regions. Study sites were grouped for data analysis based on the aforementioned characteristics of MPAs (size, age, no take status, etc.). The ecosystems interactions were taken into account for the purpose of clarifying the underlying relationships that influence the health of the region (Figure 1). Strain et. al 2018 found that MPAs tend to have a greater influence on fish biomass than live coral cover. This makes sense because a component of MPAs often directly impacts the amount of fishing allowed, and while this will have a long term, indirect effect on the amount of coral cover, it will not directly cause coral to grow any faster. They determined that if MPAs are large, well enforced, and practice no take policy, coral cover is higher in the MPA boundaries than it is externally. The authors also note that though their study encompasses many different study sites, there is a high degree of local variability that influences the generalizability of their results. Regardless of generalizability, Strain et. al’s findings provide an important finding for the coral conservation community: MPAs are a valuable and practical means of helping save coral reefs. In light of accelerated global climate change, coral reefs are especially susceptible to bleaching and death at the hand of thermal stress. While no MPA can solve climate change and protect reefs from bleaching, they can strengthen corals before heat waves occur in order to make them more resilient in the face of rising temperatures. Though MPAs are already an valuable and often employed conservation tools, this research reinforces the importance of continuing to research and use resources to create and maintain these spaces. Despite difficulties surrounding the implementation of MPAs (it can be difficult to unite scientists and politicians), their effects are well worth the extra effort when the best interest of the environment is in mind. Please contact the author with any questions: dmoloney@fandm.edu. communities by the Reef Life Survey program. Scientific Data, 1, 140007. Strain, E. M., Edgar, G. J., Ceccarelli, D., Stuart‐Smith, R. D., Hosack, G. R., & Thomson, R. J. (2018). 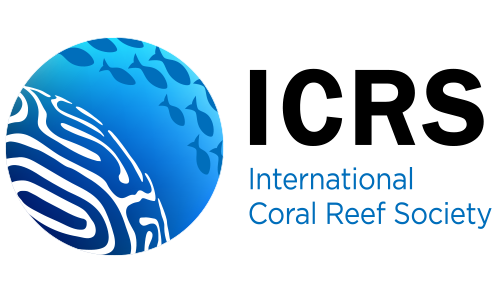 A global assessment of the direct and indirect benefits of marine protected areasfor coral reef conservation. Diversity and Distributions.